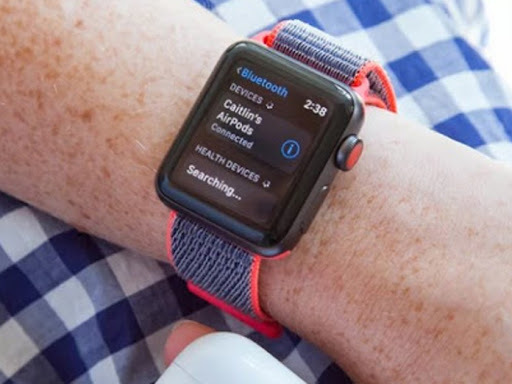 The Apple Watch Series 4 is packed with the latest features: an FDA cleared electrocardiogram (EKG or ECG), a faster processor, better screen and louder speaker wrapped in a sleeker device. The best thing about Series 4 may be the fact that it's made the Series 3 that much more affordable. The previous generation of Apple's smartwatch shares a lot of the same specs that make the Series 4 great, and the aluminium version is $130 cheaper. So, you decide which one is best for you? Obviously, if you don't want to shell out more, you should go for Series 4. And if you are looking for an affordable option, you can opt for the Series 3. In fact, currently, it's on sale at Amazon: $229 for the 42mm model. Here we bring to you the differences in detail, keep reading. At first glance, it looks like both the Apple Watch Series share the same basic design: square watch face with rounded edges, swappable bands and a variety of metal finishes to choose from in two sizes. To make out the difference we need to take a closer look. The Series 4 has a slimmer body, but its screen is actually 35 per cent larger than the 38-millimetre version of the Series 3 and 32 per cent larger than the larger 42mm Series 3. The screen on the Apple Watch 4 has increased to 40mm and extends almost edge to edge with curved corners, contrasting with the thicker bezels and square corners of the Series 3. This means you'll have more finger space to type in your passcode on the 4. In addition to this, you will have more watch faces to choose from. Series 4 takes advantage of the extra screen real estate by adding more watch complications on some of the watch faces enable you to see more information at a glance. It also looks brighter and sharper than the previous model and was easier to read in direct sunlight. When pressed tightly around the wrist Series 4 feels more comfortable. The optical heart rate sensor is now reduced to a single dot outlined by an electrical heart sensor. That's used to power the EKG feature, along with a second electrode on the digital crown. In spite of the slight size difference, both watches still use the similar sized bands which you can swap out to get a totally different look. Audio, in general, sounds better coming from the speakers on the newer Series 4. According to Apple, its speaker is now larger and 50 per cent louder. Apple also switched up the position of the microphone, now it is located opposite the speaker between the digital crown and the home button, making calls sound clearer. And on that digital crown last year Apple added a red dot on the digital crown of the Apple Watch Series 3 to differentiate the LTE version from the regular Wi-Fi model. This time around Apple made the distinction a lot more subtle by adding just a red outline of the circle around the digital crown for the LTE version. While using the digital crown we can also notice a slightly different feel. The Series 4 has added haptic feedback when you use it to scroll, which has a slightly more satisfying feel, for most people probably not a game changer. Also worth noting that only the Series 4 comes in the stainless steel option at least on the Apple Store. The Series 3 is only available in Space Gray and Silver aluminium finishes. The Series 4 has a faster 64-bit S4 processor, which Apple claims is twice as fast as the older version. Theoretically, this means it will probably give a smoother and faster experience, but you may not notice too much of a difference for most basic tasks like activity tracking and notifications. The software and user experience should be exactly the same. Every Apple Watch, with the exception of the first generation Apple Watch, received the update to WatchOS 5. The update added a handful of new features like automatic workout detection, Siri shortcuts, a walkie talkie app and the ability to stream your favourite podcasts. Apple claims that the new black ceramic and sapphire back panel on the Series 4 Watch makes it easier to transmit and receive radio waves. This is supposed to translate into better cell connectivity for you. Don't expect iPhone level connectivity on either Apple Watch. Both the watches were on different carriers, in general, the Series 4 is found to be pretty reliable while taking calls or streaming music phone-free. On the other hand, Summoning Siri was a different story constantly got a "Hold on..." response on both. This really matters only if you're planning on getting the LTE-enabled versions which cost $100 more than their Wi-Fi counterparts. The Wi-Fi versions should be the same in terms of connectivity. If your main concern is fitness, there are two key reasons to indulge in Series 4: the larger screen and the spoiler and longer battery life. If you like to check your pace and heart rate while you run, that larger and brighter screen will really help. One need not take your eyes off the road to check the stats. With the Series 3, it's a bit harder to see and you need to slow down to check. Same can be said with just about any other outdoor sport like cycling or swimming where quick access and clear visibility is the key. That said, they both share a lot of the same great running and fitness features that came with WatchOS 5 like the pace alerts, which give you a gentle nudge when you go above or below your target, and automatic workout detection which lets you start an exercise without having to set your watch. This last feature applicable to running, walking (indoor or outdoor), swimming (open or pool), elliptical and rowing machine. After wearing them on regular work days which roughly consist of a mile walk to work, sitting mostly in front of a computer, the walk back, a 30-minute run or pilates class and chasing after a toddler didn't notice too much of a difference between the battery drain. Mileage may vary for you, but both Series 3 and the Series 4 survived with just about 40 per cent juice to spare after returning to the bed at night. Every day, Series 4 was usually ahead by a few percentage points. As per Apple, the Series 4 lasts for about six hours of continuous exercise when compared to the Series 3 which goes for about four. To be clear, that's if you've started a workout in the exercise app. The Series 3 died a few minutes past the 4-hour mark, while the Series 4 kept going well beyond the 6-hour claim. 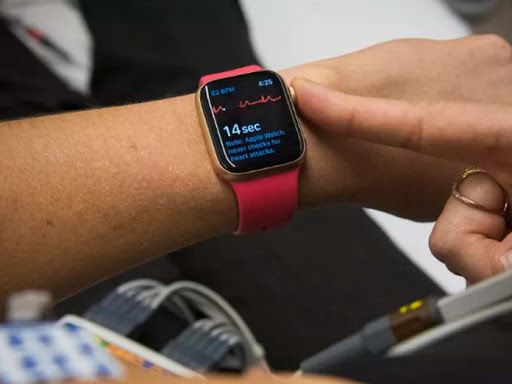 One of the most important latest features that comes to the Apple Watch with the Series 4 is the FDA cleared EKG that can help users screen for potentially life-threatening medical conditions like Atrial Fibrillation (AFib) which can increase your risk of stroke. The EKG can even help to detect a slight irregularity in heart rhythm. Apple Watch Series 3 does share some other great heart health features with the Series 4 that don't require the EKG. They can both alert users if they detect abnormally high or low heart rates during a period of inactivity, features that have helped multiple users catch some pretty serious medical conditions. With the update to WatchOS 5, even older Apple Watches Series 1 and later got the irregular heart rhythm notification. The feature takes a look at the space between heartbeats and can flag if it's indicative of AFib. But only Series 4 can provide the additional EKG data for a doctor to get a more detailed look at the electrical activity happening in the heart. Most doctors will still require a traditional 12-lead EKG to diagnose a heart condition, but it provides a much helpful picture than what the optical heart rate can show. The EKG on the Series 4 is equivalent to a single lead EKG. The Watch also shares the location with emergency contacts if they've been programmed beforehand. This feature on the Apple Watch Series 4 was recently credited for saving a 67-year-old man's life in Norway after a night-time fall that left him unresponsive on his bathroom floor. Series 4 with cellular costs $499, while the Wi-Fi only model costs $100 dollars less. Same way Series 3 cost at $379 with cellular and $279 for Wi-Fi only. The Series 4 is the best buy if you don't mind paying up to $130 more, but if you're trying to save some cash, or you already have the older model, then stick to the Series 3.